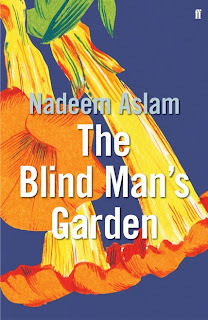 Book Review: Nadeem Aslam's "The Blind Man's Garden"
Home » books » literature works » review » Book Review: Nadeem Aslam's "The Blind Man's Garden"
Set in Pakistan and Afghanistan in the months after 9/11, The Blind Man’s Garden is an eloquent novel from Nadeem Aslam (author of Maps for Lost Lovers). The book follows Jeo and Mikhal as they attempt to offer medical help to wounded civilians in Afghanistan. However, things take a disturbing turn when the pair become caught up in the violence. A story of war, loss, and fighting for what’s right, this is an extremely moving novel, and one which is not easy to forget. Aslam’s storytelling is simply beautiful and the book reads as though every word has been carefully chosen to produce a narrative which is poetic and poignant. The reader is taken on a journey through the landscape of Pakistan and Afghanistan, through the barren terrain, the ice cold nights, and Rohan’s beautiful garden. The subject of the novel is difficult, but I felt it provided a useful perspective on the American invasion of Afghanistan and the fallout of that conflict; the result is a book which is thoughtful, insightful, and well-written. Through the losses each character experiences, the author conveys the great human cost of the war in Afghanistan, and the difficulty of differentiating between the enemy and the innocent. Yet Aslam does not preach a political message, but rather explores this through the personal stories of his characters. Complex and emotionally wrought, this is a stunning novel. This was first published on the Literature Works website. A fascinating account of the war in Afghanistan from the point of view of Afghan people. It certainly makes you think.